MODBUS RTU is a layer 2 network protocol created in the end of the 70’s with the necessity of a fieldbus protocol in industry to transmit and receive data in a simple way through the many devices of a network, in mind. MODBUS RTU uses RS-485 electrical standards and works on a Master-Slave setup, where a master writes and reads data into the registers of the slaves in the network. 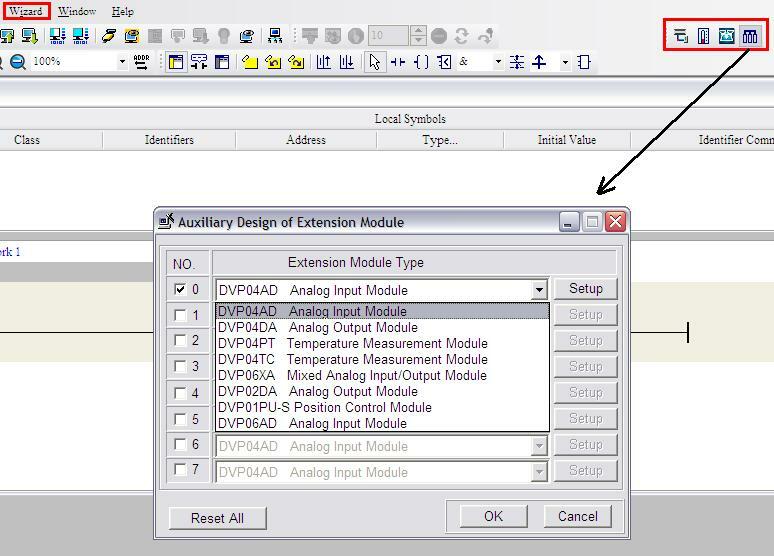 It has become the default protocol in many industry devices like PLCs, drives, sensors and it is highly used nowadays. The Delta C2000 also uses MODBUS RTU as a built-in communication protocol. In this application note we are going to learn how to set up a Master – slave configuration, write, read and program the internal PLC with ISPsoft to work on a peer-to-peer (P2P) application with 2 motors, one used as a master and other as a slave. P2P is used when we want both motors to run at the same speed together in an application and monitor their current, its typical use can be applied to pumps, fans, conveyors, rollers. It can be also taken as an alternative for the analog input/output of the drive, when we need more than just 2 measurements. Delta C2000 also permits to create a small Text panel customized display with TPEditor, which we will follow at the end of the chapters. 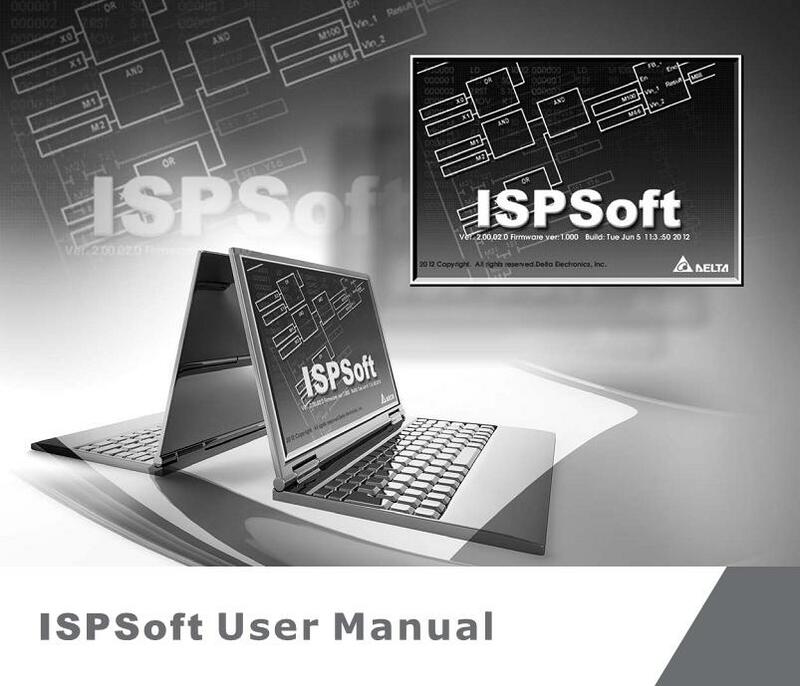 Download the ISPsoft interal PLC programs and Drive parameters for VFDsoft. Delta PLC has a lot of different series and type. In order to more clarify regarding the battery, real-time calendar, program and latched register , we sort it out as below. You can know each data latched period information in this pdf file. PLC Password: How to protect your program? How to protect you program? I’m pretty sure, that If you´re a programmer is not the first time you need to protect your work. Maybe to avoid last time changes, or maybe because is your everyday bread. So in any of the cases, we would like to explain what password locking possibilities new ISPSoft provide to you. In this case, you lock the computer file, to open the file you need to have the pasword, but If the program in on the PLC customer can upload without password. Your customer can open the program with no problem, but you can lock your Function Blocks to avoid anybody steal your Know-how. In this case you’re locking the PLC, to be able to upload the program from the PLC you need the password. The password resets if you come back to factory settings, but be aware that you´re going to lose the program also! To all of you, who have a machine in you hands with a Password, and need to extract the program for whatever reason is. I’m afraid there´s no crack or universal password. The only think you can do is contact with your machine provider. I know… just last week we announce the release of last version of ISPSoft, and today new version! But the real reason of this post, is nto the new version, is the new Manual of ISPSoft! I add the announcement with the new stuff on the same software package. But the most important improvement in my opinion is the introduction of Wizards to help us to configure analog modules. And as always send your software feedback! BTW, this is our 100th post! Thank you so much for following us for all this time. Complete PLC and HMI software update ready for your computers! So you don’t need to download separatelly. Enjoy and let us know your opinion!